Orthopedic shoes usually have the stigma of being bulky and ugly associated with them. In the recent years, several shoe makers have noticed that wearers of these shoes want style! In this article, pictures and benefits of several orthopedic shoes made by Aetrex are presented. Other brands will be discussed in future articles at The Orthotic Shop. Orthopedic or “comfort” shoes are made with pedorthic and anatomically-correct comfort qualities, such as padded removable insoles to accommodate custom orthotics, wide toe boxes and arch support are made especially for those with problematic feet. 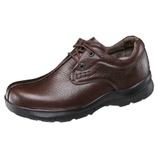 Aetrex is just one of the brands making stylish, comfortable, & functional orthopedic shoes. Please visit The Orthotic Shop to view other brands of orthopedic shoes.